Actually it was finished right at the end of 2011. 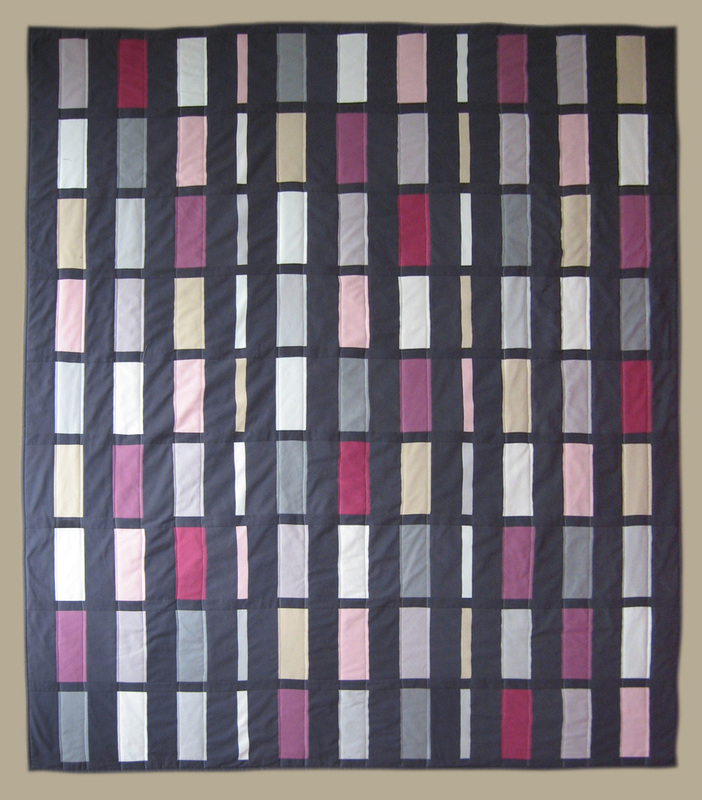 This very simple quilt is called 'City Lights' and is supposed to look like a city building at dusk with the lights going on. I made it for a friend for her 40th – she is absolutely impossible to buy for (has everything!) and I only started it about three weeks before her birthday 'cause I couldn't think of anything else. 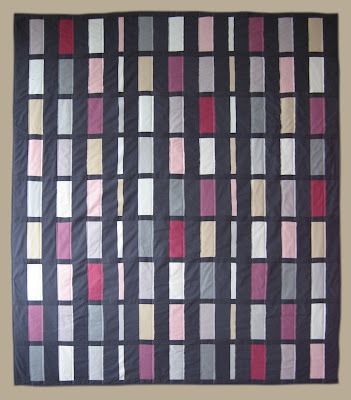 I also had to learn how to quilt pretty quickly! The back of it's not brilliant since it was my first attempt, but I still think it looks pretty effective! I really like it. Did Meegan? Love it. I'm with Ames - what was Meegan's reaction? Any photos of her opening it? I didn't think to get photos of her opening it, but yes she seemed to like it and I think she was really chuffed that I'd made it. She emailed pics to her fam and it's hanging over the back of her long couch so it's on prominent display! Congrats Tara - looks great!